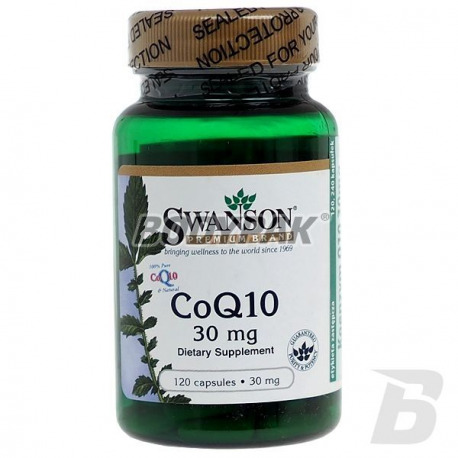 Health & BeautySwanson CoQ10 30mg - 120 kaps. Swanson Oregano Oil 10:1 Concentrate 150mg - 120 kaps. Oregano Oil - Preparat zawiera olejek uzyskany z lebiodki pospolitej (Origanum vulgare) - zwanej powszechnie pod nazwą oregano. UNS T-Resveratrol - 90 tabl. Sport Definition Essence Żeń-Szeń Koreański - 90 tabl. Sport Definition Essence Korean ginseng is a dietary supplement that works on the body by increasing energy levels and vitality. In addition, the extracts of Korean ginseng also support the overall endurance and immunity system, as well as sexual functions. Olimp Platinum Ginseng Sport Edition - 60 kaps. High-quality formulation based on a healthy dose of Korean ginseng and American! The formula is enriched with barley shoots. The first product of this type of sports on offer from this reputable manufacturer! Swanson Cordyceps Complex - 60 kaps. The formulation based on health-promoting high quality extracts of fungi. It supports the work of the immune system and contributes to the proper functioning of the body. Highest quality guaranteed by the manufacturer! The product for vegetarians! 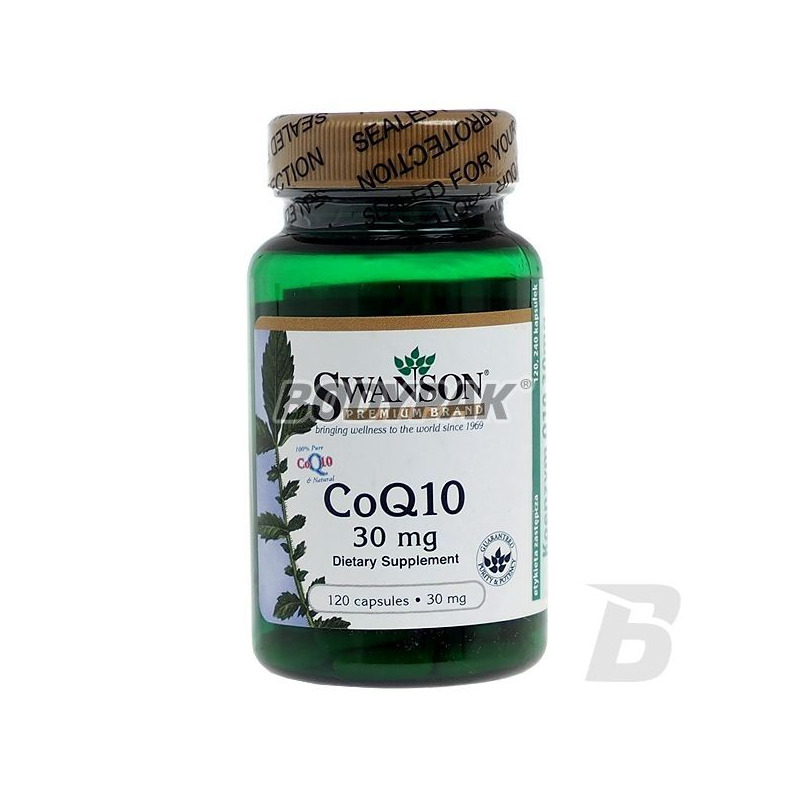 Swanson CoQ10 30mg - 120 kaps. Coenzyme Q10 is one of the formulations to ensure the proper functioning of tissues and organs by providing the necessary energy. 23 loyalty points Your cart will total 23 points that can be converted into a voucher of 0,92 PLN. Swanson CoQ10 30mg - 240 kaps. Swanson CoQ10 30mg - 60 kaps. Coenzyme Q10 - is one of the preparations to ensure the proper functioning of tissues and organs by providing the necessary energy. It reduces the need myocardial oxygen and improve blood supply. He takes part in stimulating metabolism and the immune system to produce antibodies. The concentration of coenzyme Q10 less with age in the body, which is why many scientists believe that it has delayed the ability of the aging process. Coenzyme Q10 occurs in two forms - ubiquinone (oxidized) and ubiquinone (reduced). The plasma is more than 90% of the reduced form, which is the only show antioxidant activity. Ostrovit Siberian Ginseng - 90 tabl. Olimp Skrzyp Plus - 30 kap. OLIMP horsetail PLUS is a product containing natural extract of the herb horsetail (Equisetum arvense L.), supplemented vitamin complex - components necessary for proper growth and functioning of the hair, skin and nails. Olimp Set Free Lady DETOX FORMULA [tabletki musujące] - 20 tabl. Professional supplement created for women! It supports the detoxification of the body contributing to the rapid and efficient removal of harmful toxins! Convenient form of effervescent tablets, after which dissolved created a tasty drink. Swanson Grapefruit Pectin 1000mg - 240 tabl. Swanson Pau d'Arco 500mg - 100 kaps. Swanson Kudzu Root 500mg - 60 kaps. Kudzu is a plant known in Chinese tradition for thousands of years. It affects the digestive function and physiology of stress. UNS Omega 3 - 40 kaps. High-quality omega-3 in the form of a gel capsule. The specific concentration of DHA and EPA in each serving. Supports the proper functioning of the immune system! Olimp Detoxeed-Pro - 60 kaps.